Hope you all had a good Christmas. Our day was 39 degrees Celsius. The first school i attended was St Josephs in Ushaw. I recall one day one of the kids took me to the butchers shop down town. From memory we took the first street left off the main street and went into the back of the butchers premises. This was around 1959/60 and that was when butchers really were butchers. At the back of the shop there was a holding pen where livestock was delivered and the animals were slaughtered right there. My friend had been there before and the old guy working out the back knew his family. The old guy had pots boiling in there and when i asked what was in one of them he took a hook and lifted a whole head up out of the pot. It scared me half to death as it was half cooked and all the skin was gone and exposed all the teeth and the eyes were bulging. Another pot was rendering down the hooves to make glue. Other pots were cooking round balls which I now know to be fagots also known as duck and eaten with peas and often referred to as duck & peas. Another version of Scotland’s Haggis which is made mainly of offal and the rubbishy bits of animals and then wrapped in the belly skin and cooked with a variety of spices. I recall eating this at the Durham produce markets. Only just realised recently what i was eating; LOL, anyone still eat this ? It seems to have remained a tradition which started in the war depression days. I think the butchers u are talking about would have been Lawsons, he had premises behind his shop, where animals were butchered. My grandfather Gilbert Ayre kept pigs up at the allotments near Ushaw Terrace amongst other livestock, some of the pigs were supplied by him to Lawsons, at least that’s what my Gran always said. Colin Lawson was the owner at the time I remember, always remember he had a false leg as was knocked over while serving many years ago. Great memories, many thanks for sharing, how times have changed. PS you may have known my Mother , Margaret Ayre and Gran Bessie Ayre was West. Ron Nightingale Yes the butchers shop was called Lawsons and i now remember the guy in the serving part of the shop had a wooden leg. 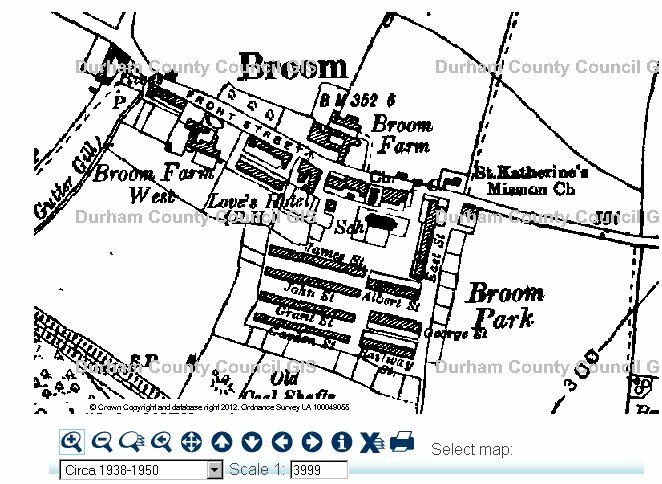 There was also an alotment at Broompark that bred pigs and it was the only alotment on the right of the start of the footpath that led to the railway bridge and the beck. Micheal Saunders (one of the older kids) worked in there so i am guessing it was his dads, but i am thinking there was another guy often came from Ushaw that also kept pigs. 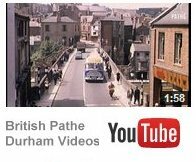 The name Ayre and West ring a bell but if they were from Ushaw and not Broompark i am probably remembering the names from kids at school. I left St Josephs and attended the prodestant school in ushaw so i got to know most of the ushaw kids but my memory is vague with names now. I have exausted all avenues of trying to find old pictures of the old houses at Broompark and dont even know when they were pulled down. 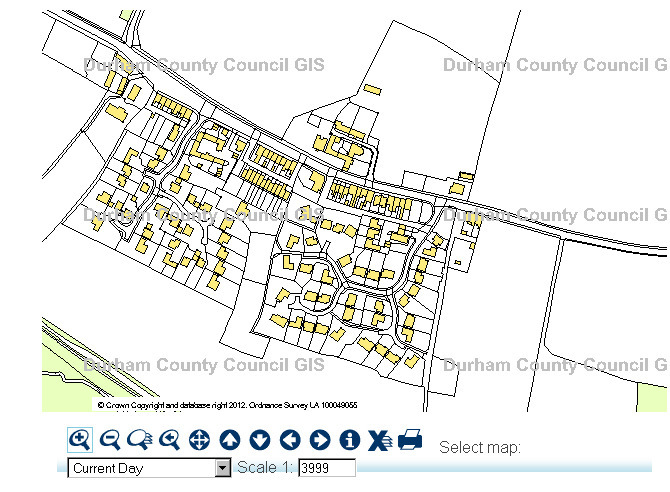 Hard to believe i can not find any information on the durham Council sites.? 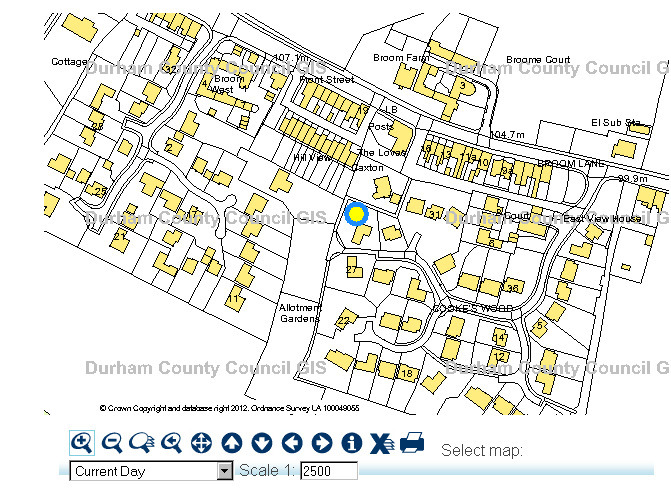 I have printed out a screen shot from google earth of the current Broompark and intend to draw the old houses into it using the front remaining street as a guide to the sizes. I can only remember the 2 streets i lived in there which was grant street and then Albert st. Maybe if i draft up this map and upload it someone might be able to add the other street names. Or if someone could point me in the right direction to get this info i would be grateful as its not easy from being here in Australia. Facebook | Fan photos from Ushaw Moor Memories. St Joseph’s RC Communion Event.